Is Goleta the Ganja Land? 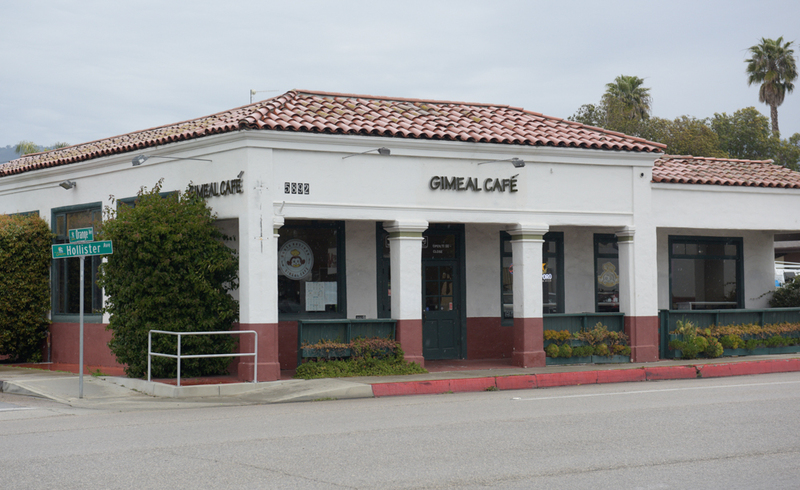 Among the 15 retail cannabis applications Goleta has received, four are on Hollister Avenue in Old Town, including the Fuel Depot, and the Palm Reader at Fairview Avenue, 5710 Hollister Avenue, and Gimeal Restaurant on Orange Avenue. The riches promised by storefront cannabis shops were enough to have one landlord joking that he would be renting to the best drug dealers in Goleta. Fifteen applicants have filed with the City of Goleta to open retail stores selling cannabis products. Nine are in Old Town, though three were made inactive for being within 300 feet of an earlier applicant. But Old Town might be able to avoid having cannabis retail on every block; on Monday, the Planning Commission will consider expanding the proximity requirements between shops and around the Goleta Valley Community Center. 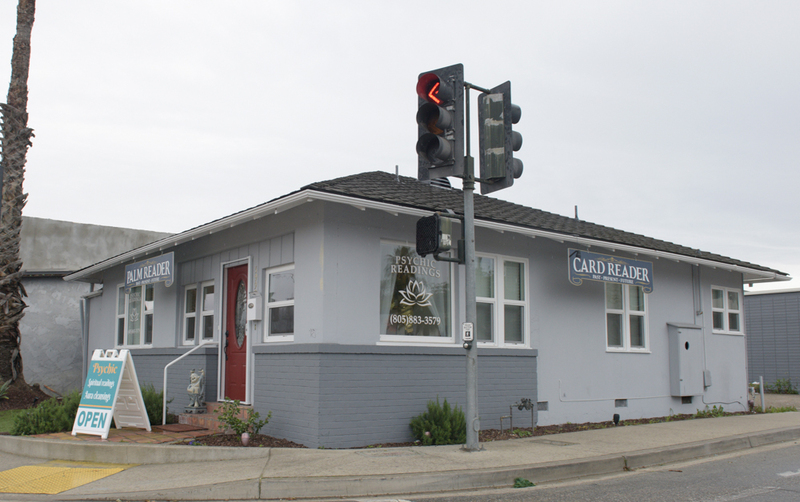 The fervor over cannabis gold has some longtime landmarks looking to make the switch, including the palm reader on the corner of Fairview and Hollister avenues and the old Union 76 station on the corner of Hollister Avenue and Rutherford Street. The 2,500-square-foot Gimeal Restaurant on Orange Avenue has also filed. 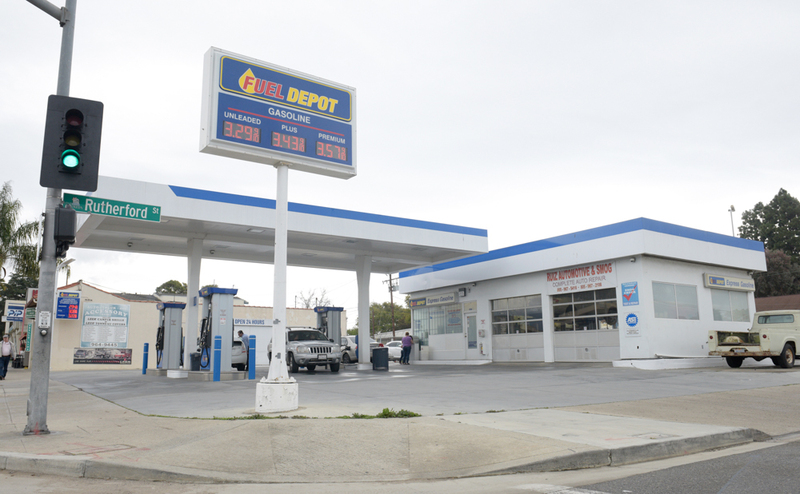 The gas station is now a Fuel Depot owned by John Price, who was told by Goleta Planning that a major, not a minor, conditional-use permit could be required: His cannabis shop would be too close to homes (within 100 feet) and the children’s day school at the Goleta Valley Community Center (600 feet). Price has a second application in for the Zizzo’s Coffee drive-thru at 370 Storke Road. Contacted briefly on the phone, Price said he was reconsidering the Fuel Depot permit. Goleta’s retail cannabis rules went into effect August 17, 2018, a date that saw at least nine applications filed, and next week’s Planning Commission meeting follows a January workshop on rule revisions. All the applicants were told that any permit decisions would be made according to the city rules in force at the time, a statement that has gotten pushback from Coastal Dispensary’s attorneys, Cappello & Noël. Coastal has applied for a cannabis shop at 5710 Hollister Avenue, directly across the street from the Goleta Valley Community Center. It’s already been approved for a store in Santa Barbara on Chapala Street, though the spot is currently red-tagged for premature building renovations, and Coastal’s cannabis permit has been challenged. In a letter to Goleta planning commissioners ahead of a January 23 workshop with the City Council, attorney Lawrence Conlan stated Coastal had spent more than $100,000 prepping for the permit and that in August, when the application was filed, no buffer existed for youth centers or schools. Conlan also wrote that the prior tenant “vacated the premises to accommodate Coastal’s proposed business.” That tenant disagrees. 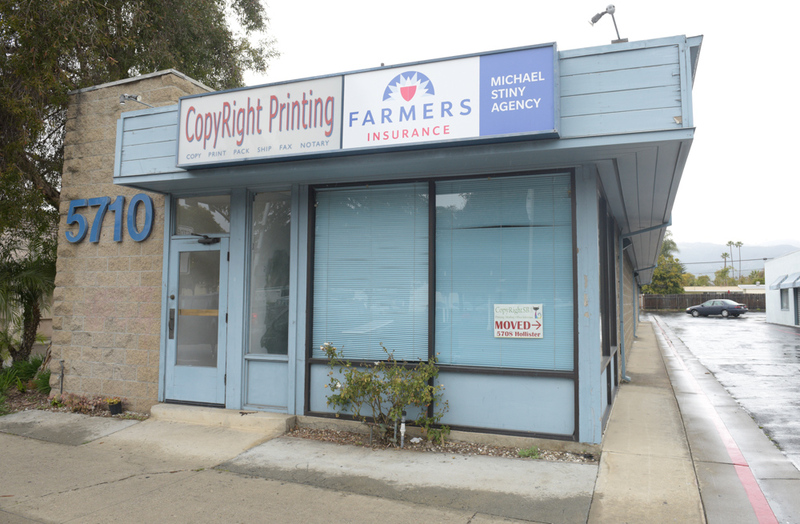 Not only is 5710 Hollister Avenue directly across from Goleta’s community center, but it also previously housed Phebe Mansur’s business, CopyRight. Mansur is the executive director of the Goleta Old Town Community Association, a major advocate for the neighborhood. Her landlord gave her early warning of Coastal’s offer of three times her rent, somewhere around $10,000 a month. Mansur went ahead and moved, right next door in a former furniture store, but she is concerned: “Old Town could end up like Santa Barbara with exceptionally high rents,” she said. Her new lease says her landlord can raise the rent at any time if surrounding rents rise. The owner of 5710 Hollister, Michael Stiny, said the great attraction of his building is the large parking lot behind it. And the great attraction of a cannabis shop would be the work Coastal will do to upgrade the interior, the security it will be required to have, and the “jewelry store environment, like Tiffany’s,” said Stiny. He described a nearby smoke shop as one of the nicest stores in Goleta. The two existing medical cannabis shops in Old Town have both applied for storefront retail status. One of them is zoned “industrial general,” a designation that does not allow retail cannabis activity. Altering the uses allowed under that designation is among the questions before the Planning Commission on March 11 at 6 p.m. Another is whether to streamline the application, which currently includes a conditional-use permit (CUP) and a cannabis business license process. The commissioners are considering folding CUP requirements into the one-year business license, which examines owners and employees for crime convictions, outlines surveillance and financial reporting requirements, and prohibits consumption of cannabis product on-site or within 100 feet of the business, among many other conditions, such as parking.